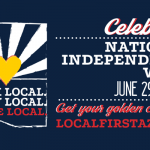 In recognition of National Independents Week, Local First Arizona will honor locally owned and independent businesses across the state from Saturday, July 1, through Sunday, July 9. 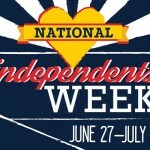 The nation-wide Independents Week campaign, coordinated by the American Independent Business Alliance and also known as “Indie Week,” takes place during the week leading up to Independence Day with the purpose of enlightening consumers to the importance of supporting local businesses. 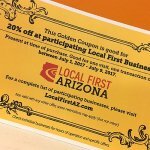 The popular Golden Coupon, printed this year by Think! 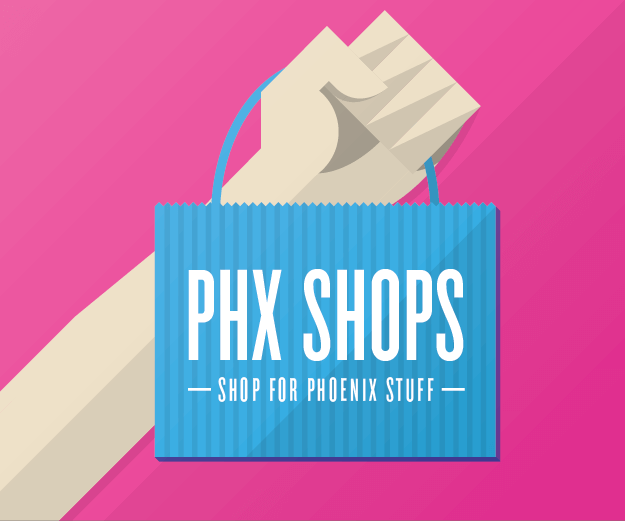 Graphic and Printing Solutions, is the ticket to saving 20% off purchases from hundreds of locally owned establishments including auto repairs, home furnishing stores, boutiques, florists, restaurants, yoga studios, nurseries, and more. 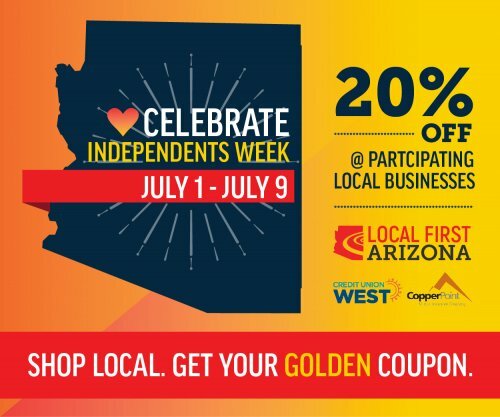 Last year, over 500 local businesses signed up to accept the Golden Coupon during Independents Week. 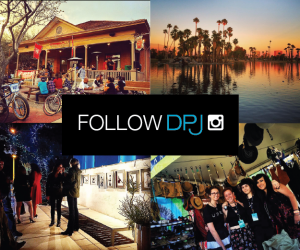 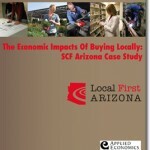 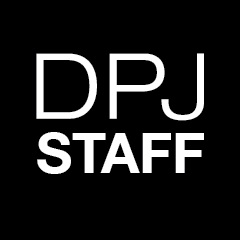 The full list of participating businesses will be posted on the Local First Arizona website. 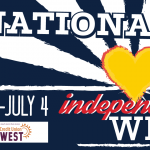 This year’s Independents Week is sponsored by CopperPoint Insurance Companies and Credit Union West.